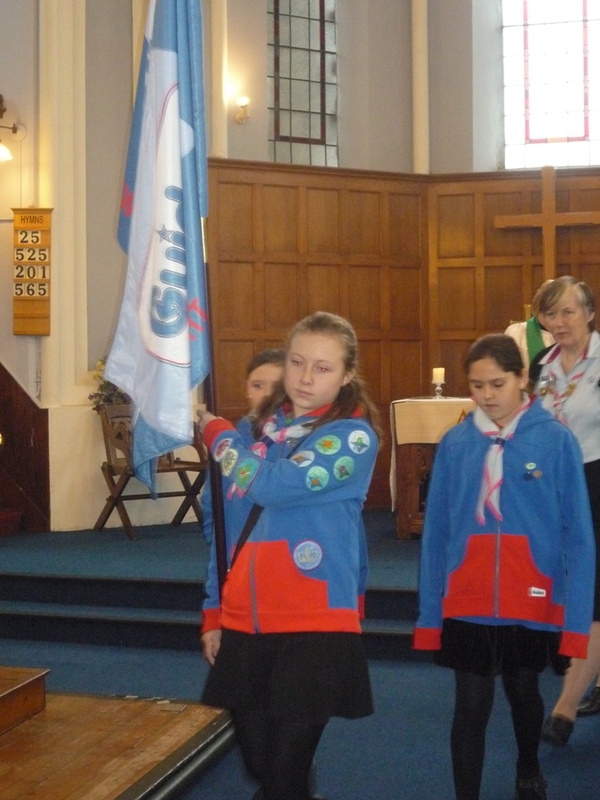 NEW FLAGS AND THINKING DAY. 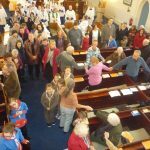 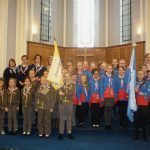 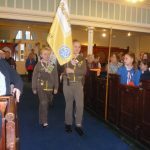 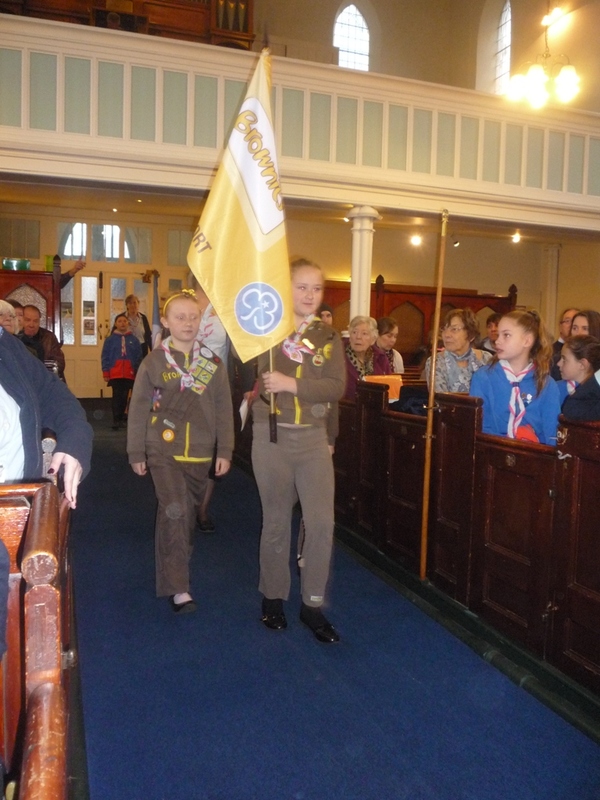 Members of the congregation of St. John’s Church, Newport joined with Brownies and Guides and other members of Girlguiding IW for a special church service arranged for the dedication of new unit flags. 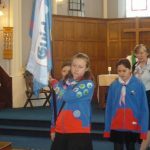 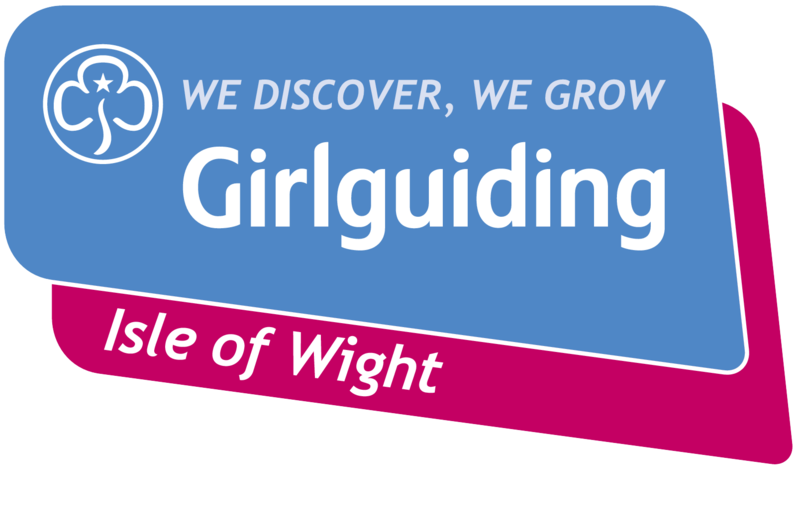 Two Newport units- 10th Newport Brownies and 11th Newport Guides- recently decided to replace their flags which now show the new Brownie and Girlguiding logos. 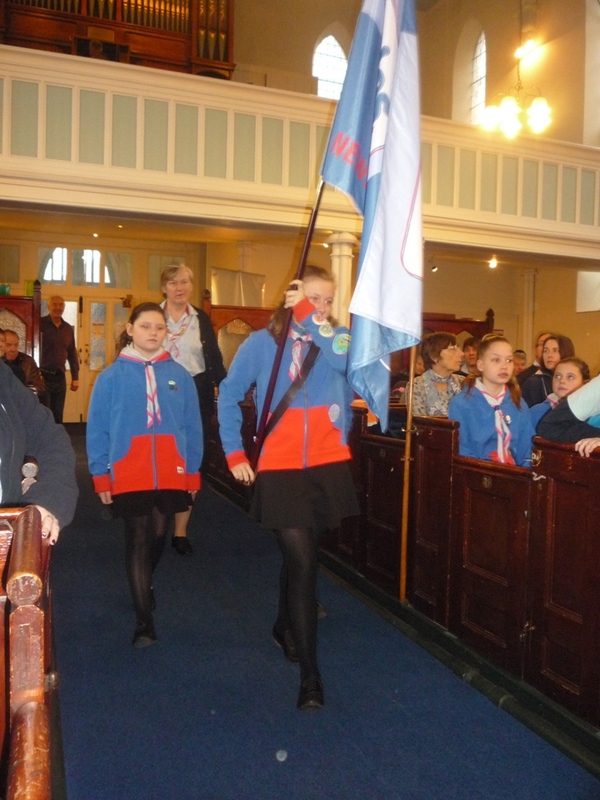 10th Newport Brownies celebrated sixty years in 2015 and 11th Newport Guides were formed in 1959. 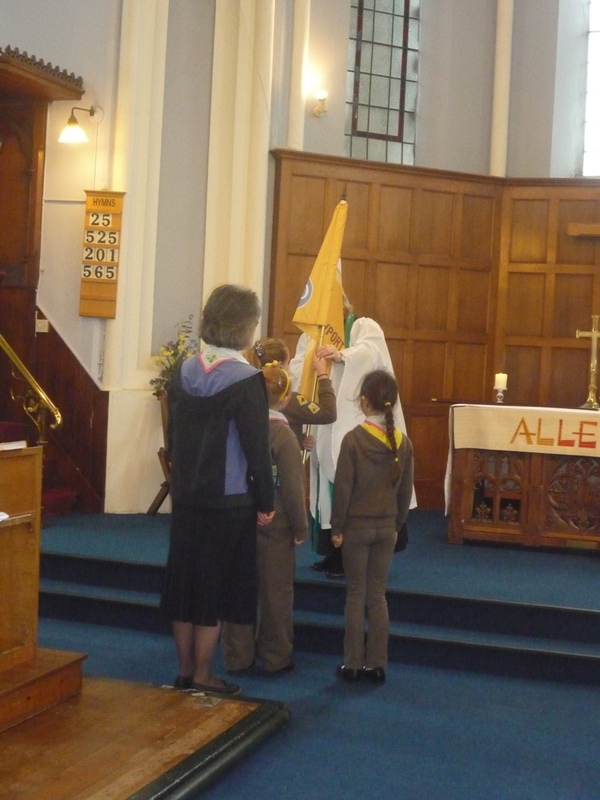 In a church service where the flags were dedicated by the Rev. 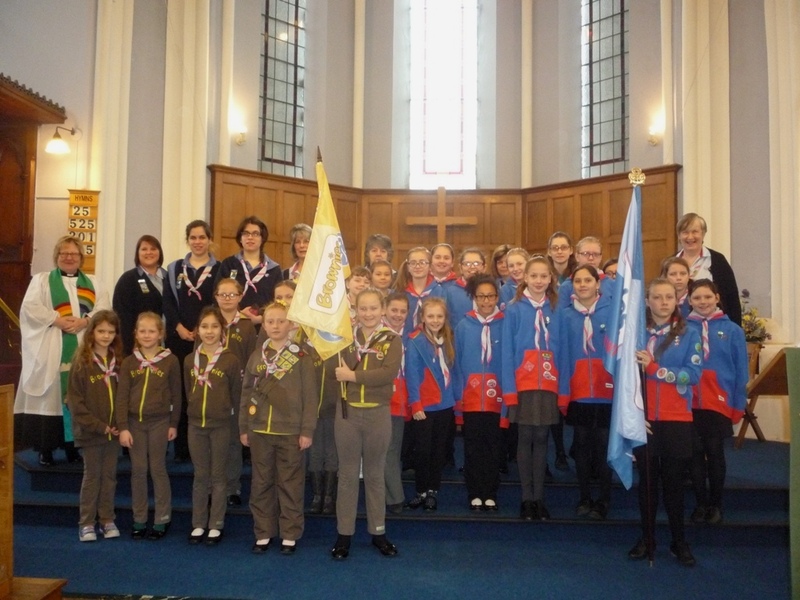 Janet Hallam there were also celebrations and activities to recognise World Thinking Day which is celebrated in countries of the World where there is Girlguiding or Girl Scouts on 22nd February each year. 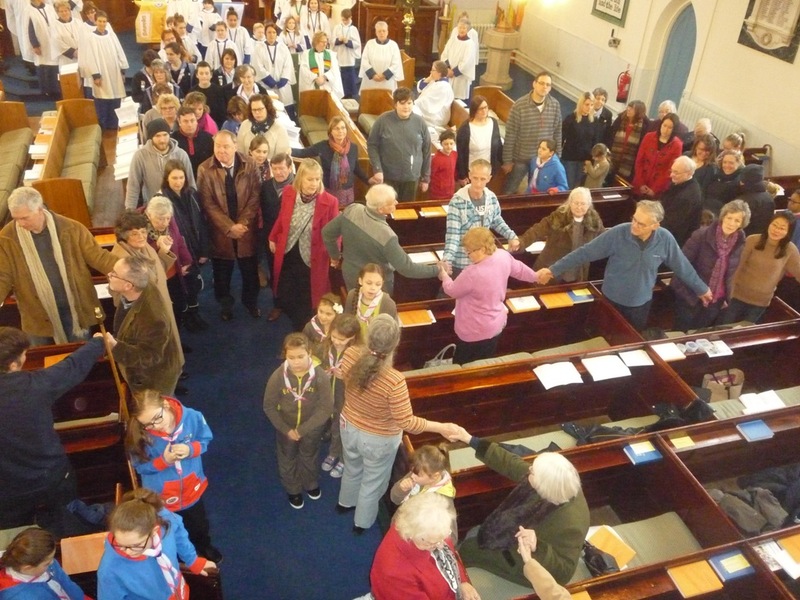 Themed on how a small seed, such as that sown by Robert and Agnes Baden Powell in 1910, can grow into a Worldwide movement of 10 million girls and young women, all the church congregation formed a human tree which filled the church. 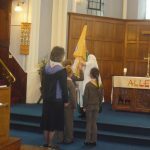 Everyone was also presented with a seed to enhance the message of how such a small item can grow into something much larger. 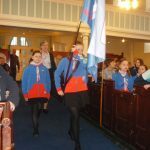 Brownies, Guides and leaders read poems and lessons and all females in the congregation who are Girlguiding members or had taken the Girlguiding Promise in the past were invited to renew their Girlguiding Promise.